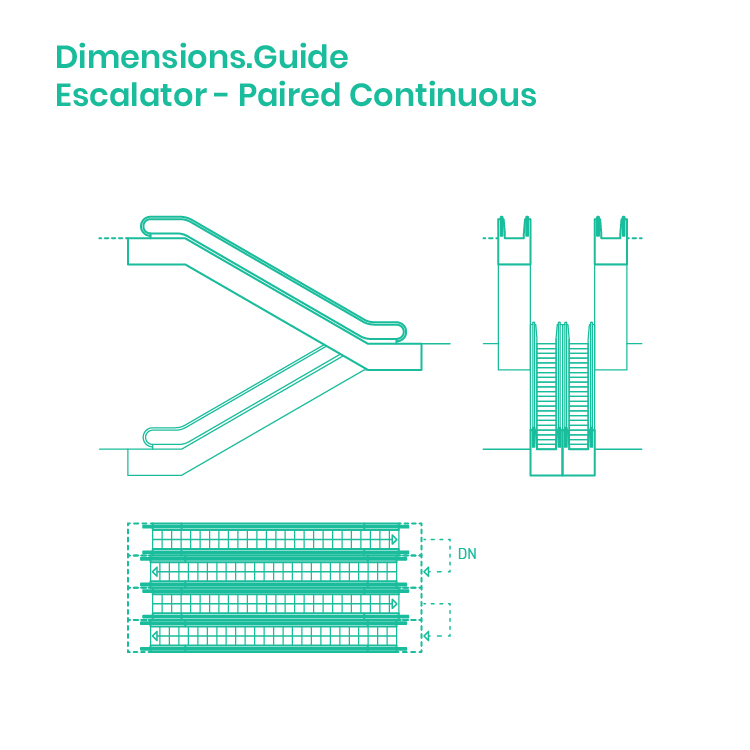 Paired continuous escalator systems combine two sets of single continuous escalator systems side-by-side. Though inefficient in space planning, this system creates a consolidated and functional destination within a floorpan that allows direct access to multiple floors. Paired continuous layouts can be stacked vertically to further systematize a path of effective travel in buildings requiring productivity and access to various floors. This strategy works best in vertical offices, large department stores, and public transportation centers that can benefit from an efficient bank of escalators.